Looking for ideal WordPress themes to build an online store? There are numerous platforms available on the market. Among them, WooCommerce appears to be the preferred choice between the general public.WooCommerce is an open source plugin for WordPress framework based on e-commerce. Its recognized as one of the best and powerful plugins for the e-commerce platform. Generally, it comprises various optimized functionalities to run an e-commerce website tremendously. It is well known that WordPress is a free open source software. Most of the themes in WordPress have high compatibility with WooCommerce.There are a numerous number of WordPress themes which is integrated with WooCommerce. Probably, its the only most popular plugin for WordPress on the market today. You can find an abundance of WordPress themes online which is integrated with WooCommerce. Here, in this blog, some of the best WooCommerce WordPress Theme has been listed. Online Shop is a beautiful WooCommerce WordPress theme fully based on an e-commerce website. Being integrated with WooCommerce it has got all the features and functions of an e-commerce website such as shopping cart, wishlist etc. With its decent appearance and layout, it instantly draws the attention of its viewers. With this theme, a user can instantly create their e-commerce website and showcase their products. 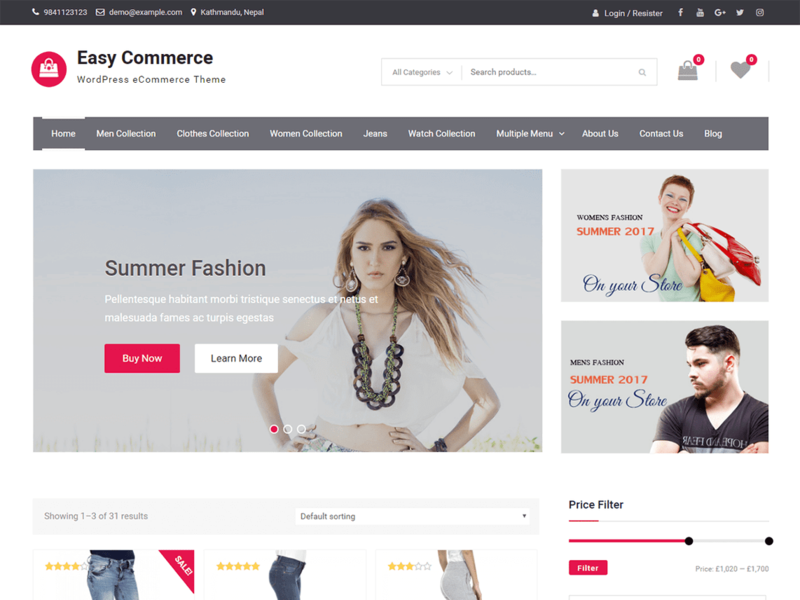 Easy Commerce is another popular WordPress theme based on E-commerce. Being WooCommerce integrated it consists of all the functionalities of WooCommerce along with awesome features. The attractive layout design and powerful feature of the theme can hold the eye of its viewer for a long haul. Thus, a great theme to simply start out your online store and display products. 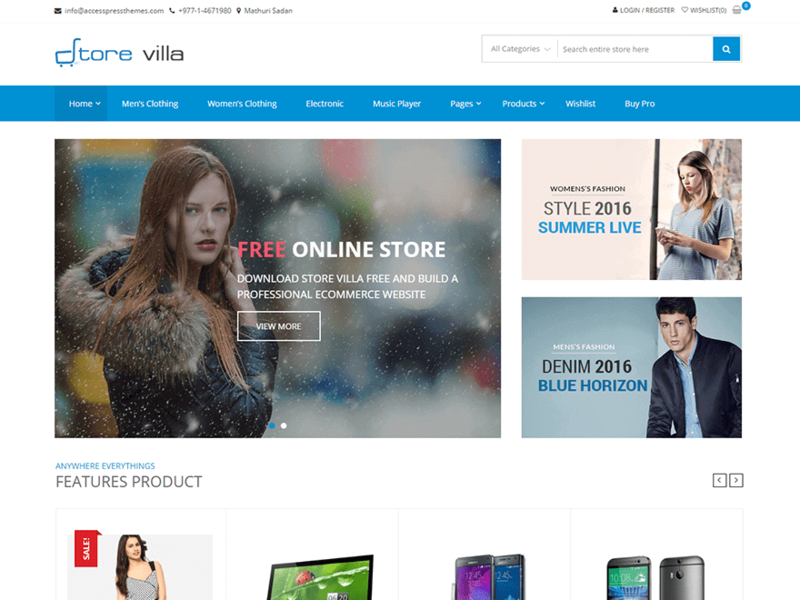 StoreVilla is a free eCommerce/WooCommerce WordPress theme with a beautiful design. This is a theme perfect for fashion, digital, jewelry, cosmetic online stores. It is a translation ready theme that is highly and easily configurable/customizable. 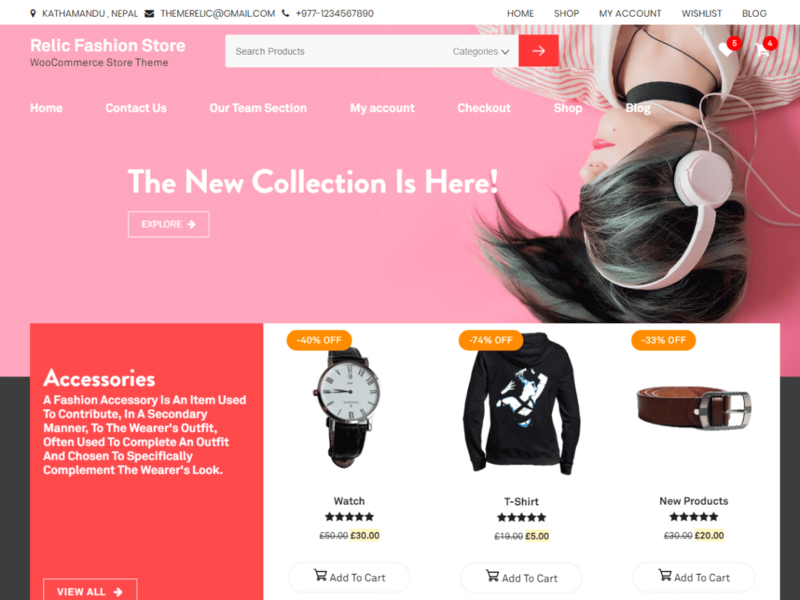 This elegantly designed theme is powered by WooCommerce plugin, due to which you can create an e-commerce site with it easily. It is also facilitated with inbuilt customizer tool, unlimited slider options, advanced product search and what not. 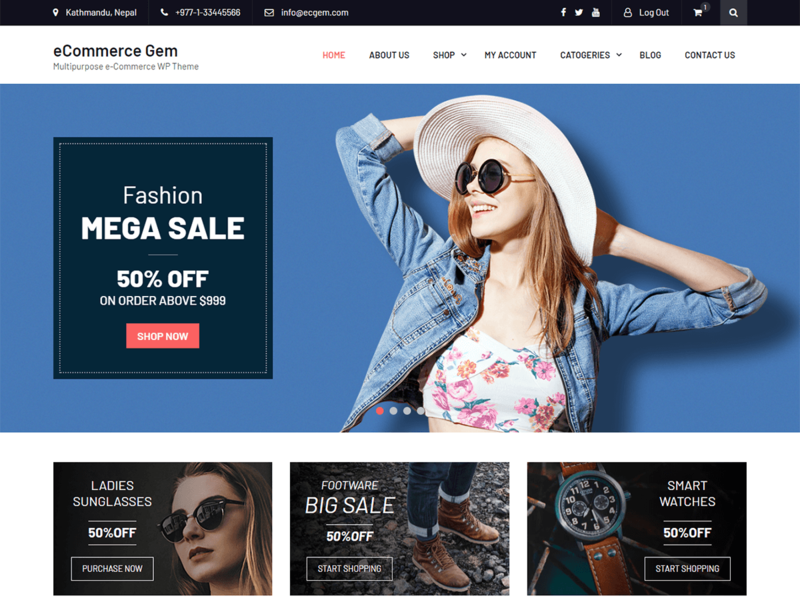 eCommerce Gem is again a stunning WordPress theme. Designed specifically for an e-commerce site, it has a pleasant and classy layout. Its main features include a full-width slider, featured product carousel, and many more. So if you are looking to create an online store to showcase and sell your products then this is a perfect theme for you. This theme can be used for different purposes such as business, corporate, news and magazines etc. 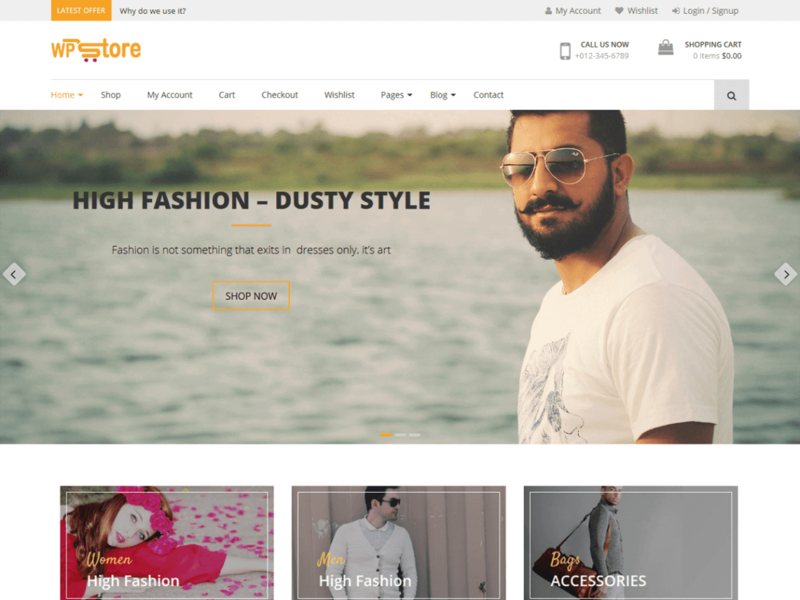 eStore, as its name suggests is also an attractive WooCommerce WordPress theme. It has been designed with diligence and standard code. The theme looks ideal for a complete e-commerce website. 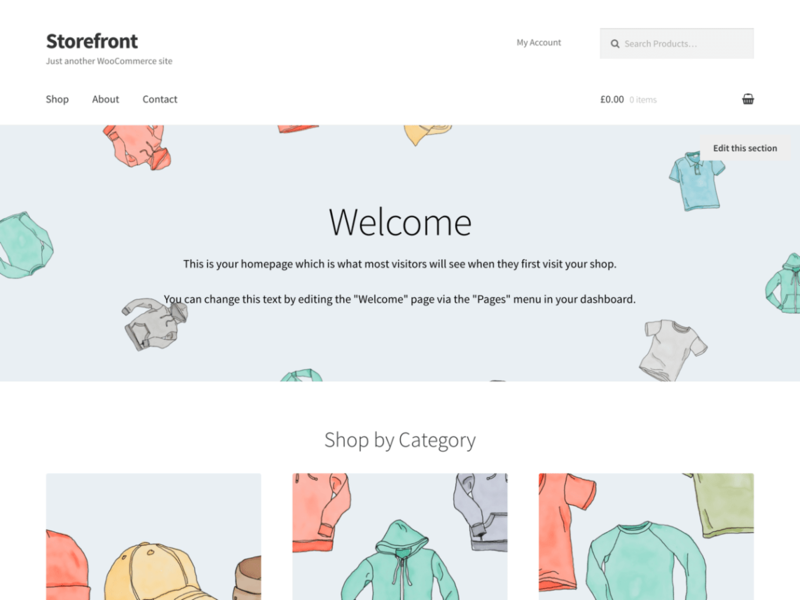 You can simply download the theme and start displaying your products. 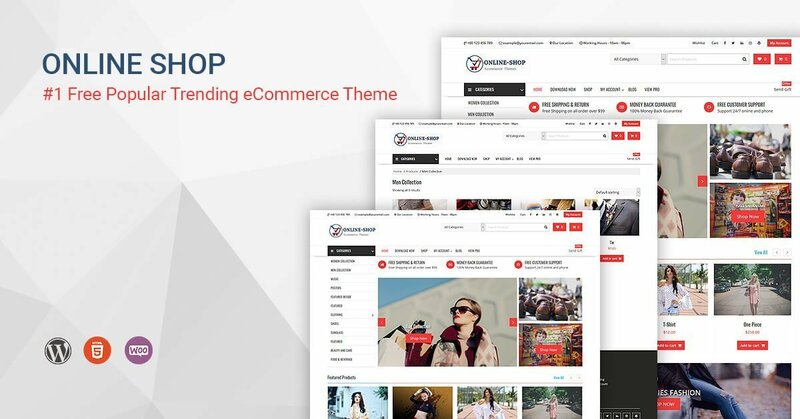 Storefront, this elegant yet simple looking WordPress theme has been developed by WooCommerce Core developers. It offers a variety of WooCommerce extensions and incredible features for its users. 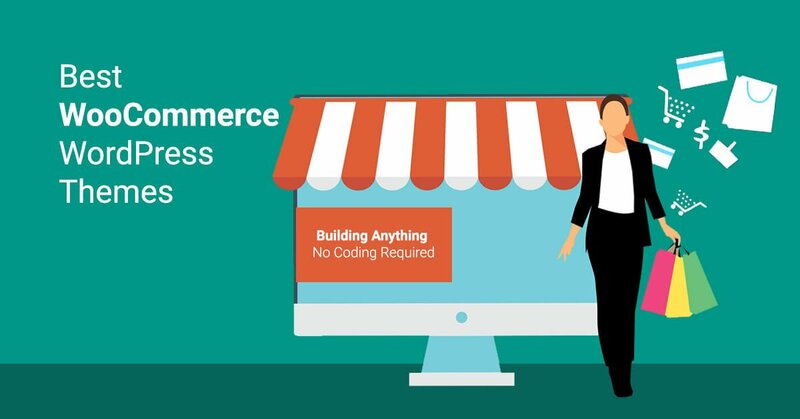 Being an official theme of WooCommerce, the integration between WooCommerce, WooCommerce extensions and Storefront is absolutely water-tight. It provides an amazing and smooth code base for developers to customize and extend the theme with ease. If you are looking for a decent looking theme to set up your online store then this is the perfect one. Relic Fashion Store is a WooCommerce WordPress theme, particularly for an e-commerce website. It’s the best theme for any kind of business yet the layout design primarily focuses on fashion stores like jewelry, watches, clothes, glasses etc. 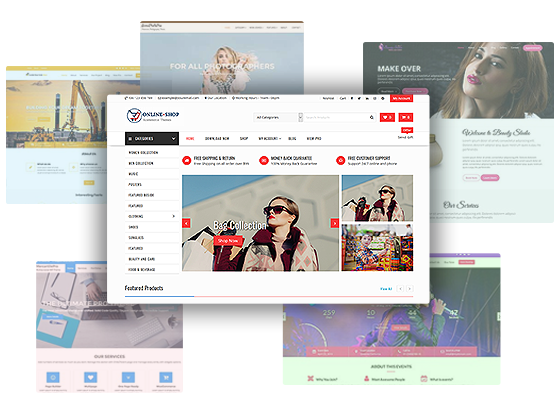 The theme offers astonishing features such as advanced search bar, top Header, shop by category, full-width owl carousel with custom products, footer widget area, custom logo, custom background, breadcrumbs, fast loading, cross-browser compatibility, font awesome etc. Moreover, it also provides support service for its users. WP Store is an e-commerce based WordPress theme. 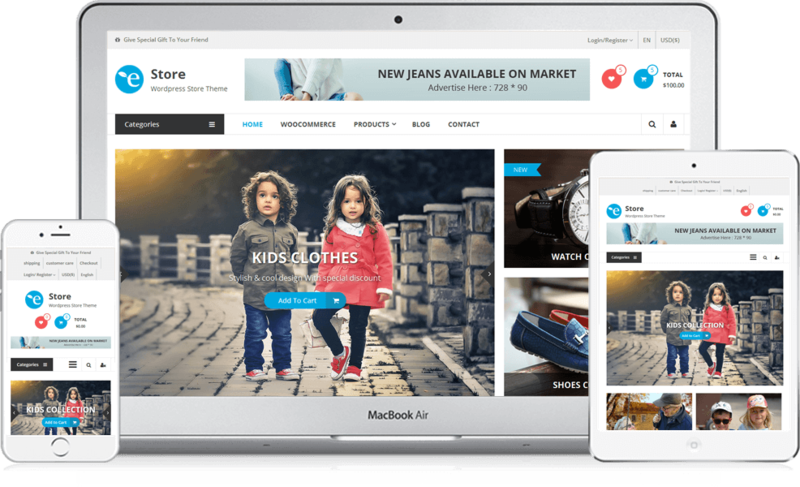 The theme has been developed to provide a graceful e-commerce platform for anyone who wants to set up their online store. Whether you are running a small business of fashion items, mobiles or any other products this is the right theme for you to extend your business and showcase your products via online. It is absolutely user-friendly and easily customizable so even if you area non-techy you can modify the theme with ease. Several additional magnificent features such as a custom widget, fully responsive, WooCommerce integrated etc. are present which makes the theme extra flexible. 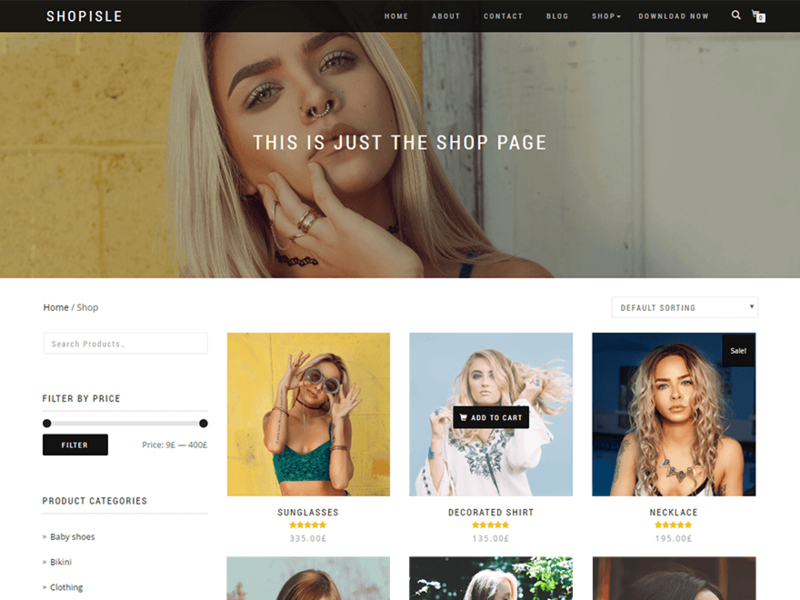 Shoplsle is another awesome WooCommerce WordPress theme. The fabulous and structured layout design of theme has been built to make a perfect e-commerce website. It has an exciting wide range of features to make the theme more flexible and user-friendly. The theme looks good on any devices such as smartphones and tablets. So, if you are looking to sell your products and upgrade your business then this is the best one. 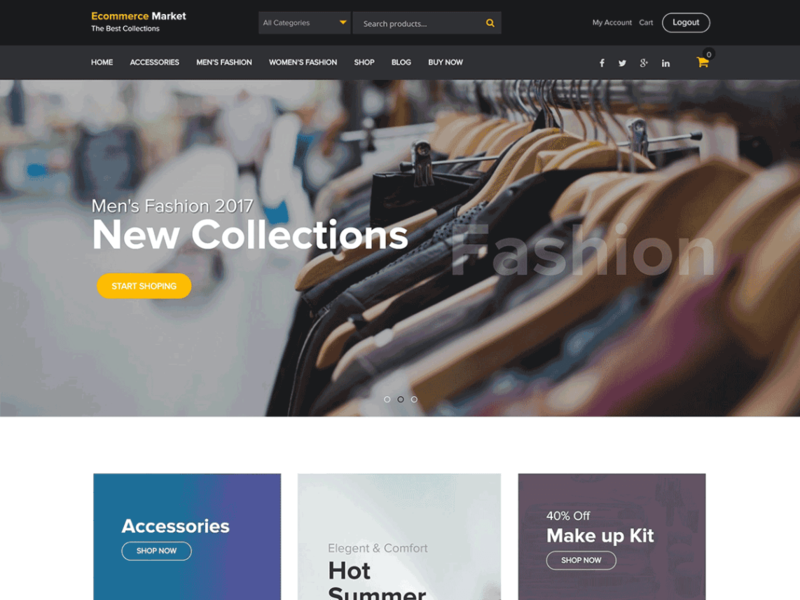 eCommerce Market is yet again awesome WooCommerce WordPress theme. Modern and elegant looking theme perfect for an e-commerce web store. Being integrated with WooCommerce it has every amazing functionality of WooCommerce.Thus, you can set up your online store smoothly. The WooCommerce WordPress themes listed above are the finest ones in the current trending market. Each of them made with high-quality standards to develop a pleasing and complete e-commerce website. You have a variety of list to choose from. So, get the desired ones and initiate your online web store campaign. Please feel free to write down your comments below!